Even if you haven’t yet been sold on the 3D format, it’s hard to argue that this news isn’t cool. Toshiba has revealed the first details on its upcoming Qosmio T851 laptop, which starts shipping in Japan this July. The 15.6-inch portable PC has some decent specs — Core i5-2410M CPU, 8GB of RAM, an NVIDIA GeForce GT540M video card and a BDXL-ready Blu-ray player — but it’s the screen you’ll want to pay attention to, as it is capable of displaying both 2D and 3D content simultaneously. The multi-dimensional content appears side by side in separate windows, a press release reveals. It is all thanks to the use of a parallax barrier that delivers separate images to the left and right eyes, the same technology used to deliver glasses-free 3D on the Nintendo 3DS. As anyone who owns one of those new portable gaming devices knows, it is easy even on that small screen to shift your viewing angle slightly and disrupt the 3D effect. 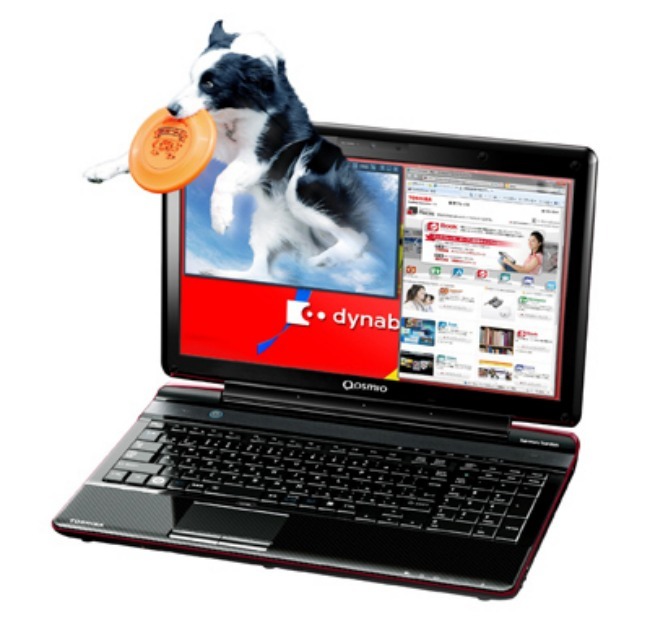 Toshiba has built in a noteworthy workaround to ensure that the effect is maintained on the Qosmio’s 15.6-inch display. The T851 uses a built-in web camera to essentially track the movement of your face and eyes. The camera automatically adjusts with your movements to maintain the 3D effect. The laptop also features built-in support for real-time 2D to 3D conversion, with added Face3D tech that automatically recognizes and improves the conversion of human faces in an image. There’s no price listed, but “cheap” probably isn’t it. The jury’s still out on whether the recent rise of 3D is just a fresh coat of paint on an old gimmick or a sign of things to come, but does it really matter in the case of the Qosmio? This thing tracks your face and eye movements to maintain a 3D effect without the need for glasses. Gimmick, evolution, whatever you want to call it… that’s just straight-up cool.